The US embassy in Moscow commented on the Russian Defense Ministry briefing on the 9M729 rocket. According to the press attache of the diplomatic representative office Andrei Kalan, this is an attempt to create a “semblance of transparency”. “Russia's demonstration yesterday of what they call the 9M729 missile does not change anyone’s conclusions that this system violates the treaty. The United States and most of our NATO allies did not take part in the briefing, because we saw that it actually represents another attempt to confuse and show the appearance of transparency, ”RIA Novosti quotes Calan. Kalan added that "only the complete and verifiable destruction of 9m729 missiles, launchers and equipment will remove US concerns." 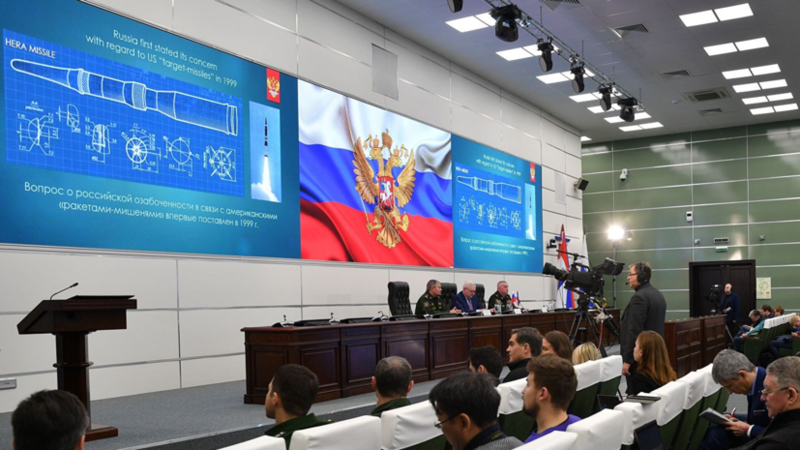 Earlier, the European Union announced that they had decided not to participate in the briefing of the Russian Ministry of Defense on the upgraded rocket 9M729, since the event did not meet the goal of a trusting exchange of views. As emphasized, the EU is ready to participate in the “substantive briefings” under the Treaty on the Elimination of Medium and Short Range Missiles (INF). The evidence of this was that diplomats called the presence of the 28 members of the bloc at the Foreign Ministry briefing on January 18, at which a “confidential exchange of views” took place. On January 23, the MoD for the first time showed the upgraded 9M729 missile to foreign military attaches. According to Washington, the presence of this weapon in Russia violates the INF. Moscow, however, emphasizes that the maximum range of the missile’s flight - 480 km - complies with the terms of the agreement.